The objective of programme was to provide the instinct to the students for creating lasting impression at time of projecting professionally through personal branding. Personal Branding plays an important role at every phase of life, whether we are student or especially when we are working or professional. Ms Moomal Sisodia was the speaker of the session, who is an Image consultant & trainer by profession. She received many awards for her constant work in the field as an image consultant. 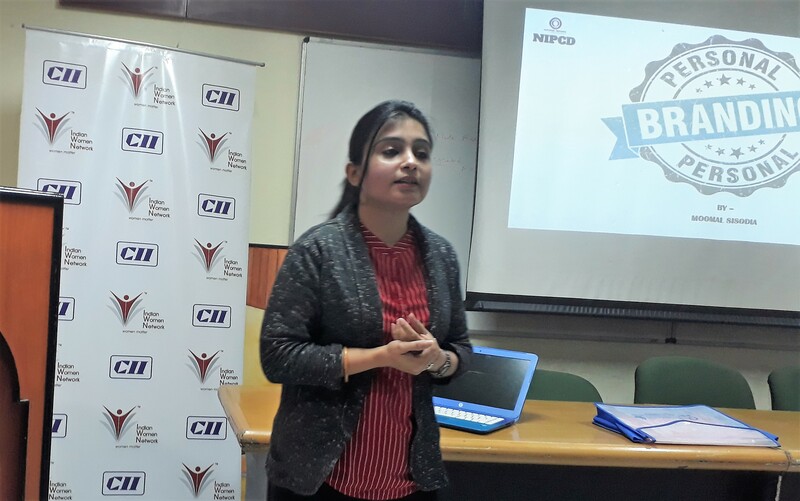 During the session, Ms Sisodia briefed about various aspects of personal branding which includes core values, strengths, skills, credibility & tangible branding elements. She further discussed about tips and techniques to improve our appearance to create lasting impact. “Your appearance should be in connection to your skills, for example a teacher looks like a teacher & an artist looks like an artist from their appearance as well”, said Ms Sisodia while addressing the audience. “One should have hunger for learning & an attitude for gratitude. When you see a successful person, you may think he is very lucky to be on that position, but No one is lucky, they are consistent”, she further added. She also discussed about social media etiquette & suggested that “one should use social media sensibly since our post or status also reflect our image at social media platforms, gradually we create an impression on the other person’s mind”. “Personal branding is like you are promoting yourself, marketing yourself so that people gets influenced by you, it needs consistency. You need to be cautious while creating an impression on other person’s mind. 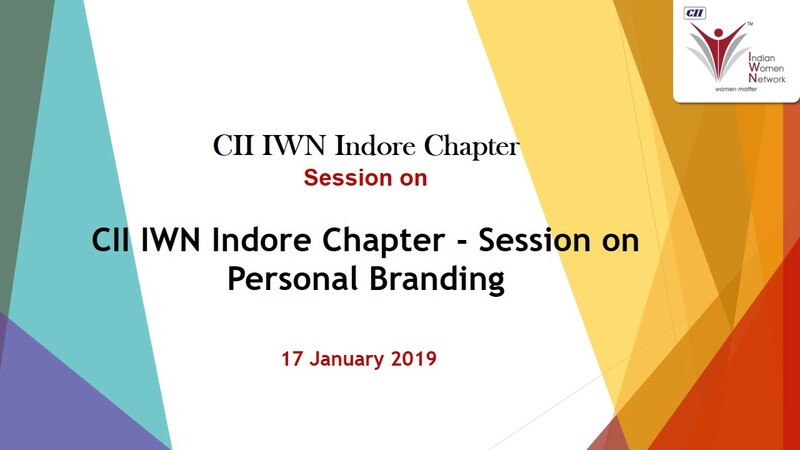 It’s important to communicate but it’s even more important that what to communicate as your overall personality will be created based upon your communication”, said Ms Nupur Singh, Chairwoman, CII’s IWN Indore Chapter.